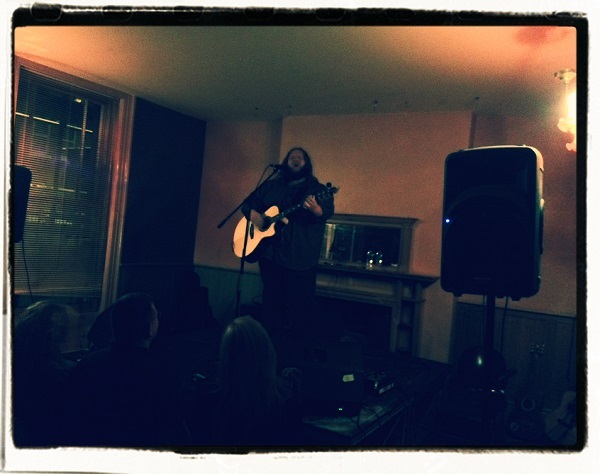 A is for… well let’s not get into that, except to say thanks to the amazing Matt Andersen for yet another fantastic show. Thanks of course also go to M&J Blues for a fine opening set and you if you were one of the many people that filled the Bard’s Bar at Shakespeares last night. We certainly had a great time. We’re back at Shakespeares twice next month. Firstly on October 14th we have a triple bill of Roaming Son, Stiv Cantarelli & The Silent Strangers and Tsar Nicholas III & The Exiles before October 21st sees the return of Otis Gibbs. Meanwhile on October 16th we’re back at The Greystones when we’re joined by Rod Picott. You can find previews for all of next month’s shows by clicking here. Maybe we’ll see you at one of them.